Poppies are resourceful little plants, seeding themselves everywhere and living their short, glorious lives in the fast lane. Putting little effort into producing foliage, the crepe-paper flowers are designed to beguile the bees. 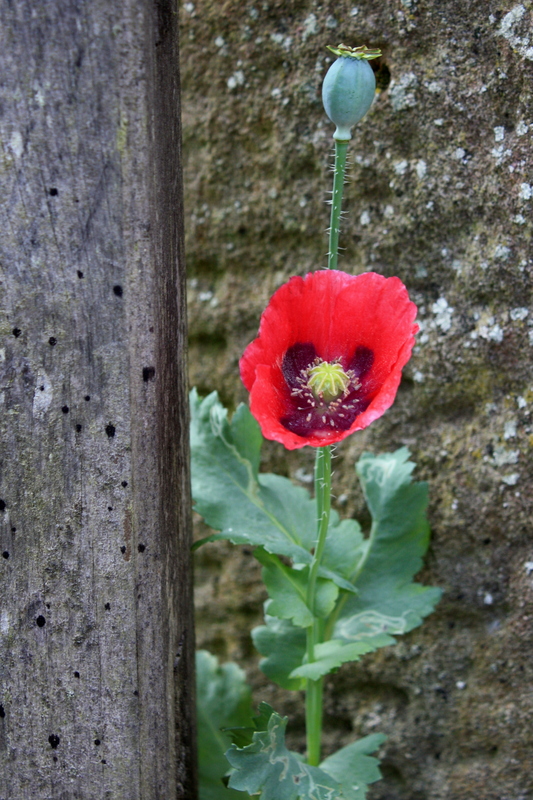 Showier than our native field poppy, the opium poppy, Papaver somniferum, is generally taller and available in a greater array of colours. Both species share the same habit for adapting their size to their conditions, hence this little fella nestling in the shelter of a gatepost at Capability Brown’s Kirkharle Lake in Northumberland. Sown in about one month’s time, they’ll make robust flowering plants next year.